Why Choose Stoddart's Stainless Steel Wire Balustrades? Stainless steel wire balustrades by Stoddart are in high demand from the building and architecture industry in Australia. Stoddart proudly presents these high-grade products, along with handrails, as part of their trusted catalogue of metal fabrications for commercial and residential applications. With a commitment to a gold standard of quality, the family-owned company continues to diversify their services for their growing local and international clientele. Why Choose Stainless Steel Wire Balustrades? While traditional balustrades are common, stainless steel wire balustrades can offer the same benefits with less upkeep. For example, glass balustrades require constant maintenance to prevent smears and stains from lessening its visual appeal. On the other hand, stainless steel delivers an enduring elegance in any application. Another sought-after advantage of using stainless steel balustrades is maximised views, especially in decking applications. Thicker posts and pickets tend to obstruct an otherwise perfect vista. 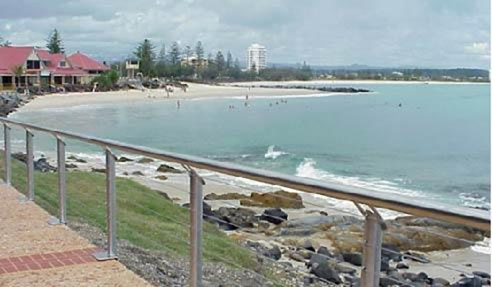 Meanwhile, stainless steel wire balustrades frame the scenery with no compromise to its beauty. One could argue that glass provides the same benefit, but drawbacks include being a threat to the safety of birds. Its clear profile can lead to birds flying straight to the glass, with potentially disastrous outcomes. In addition, glass panes and posts are not guaranteed to withstand extreme wind pressure. In the case of wood or concrete balustrades, deterioration is an issue. Even treated wood can crack or warp under extreme dry or wet conditions. Stainless steel does not require any treatment to preserve its integrity. The material is built to last, resisting scratches, fading, and rust while exposed to even the harshest weather elements. With a service record spanning six decades, Stoddart has gained more than qualified experience in all types of architectural metalwork. 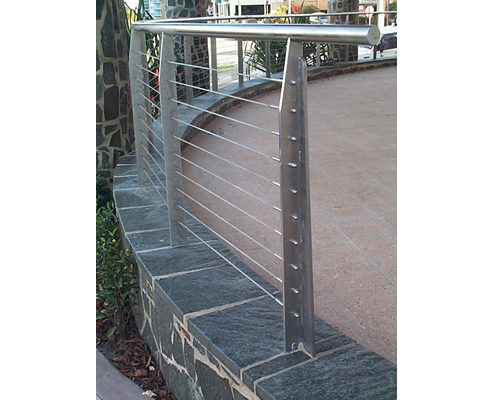 For stainless steel wire balustrades, Stoddart harnesses no less than the latest building techniques and technologies in the fabrication of high-grade 304 stainless steel. The resulting structural quality is robust, hygienic and resilient to hard wear, moisture, contaminants and other agents of deterioration. The balustrades make for a safe and reliable exit aids in building structures. Additionally, the stainless steel build provides a sleek and polished aesthetic value that retains in the long run. Its tactile feel and contemporary profile will appeal to many people for years to come. Clients can easily have the balustrades and hand rails supplied in a broad variety of styles and finishes to fit their taste. Stoddart pushes excellence beyond production, to service delivery. The highly professional team works in close collaboration with clients from the initial inspection of the site, all the way to final installation. Stoddart makes sure that stainless steel wire balustrades are built to the exact specifications of the project at hand, while conforming to approved building and fire safety regulations. Stainless steel wire balustrades by Stoddart have been enlisted by leading architects, large-scale construction contractors and local councils, yielding well-received results. Get in touch with Stoddart to learn more about stainless steel wire balustrades and hand rails. Go to www.stoddart.com.au, or call their hotline: +61 73440 7600. I would like to enquire about Stoddart.